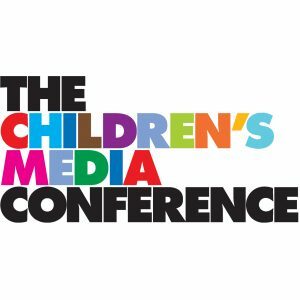 Children’s Media Foundation supporters, patrons, and members from supporting companies can buy Children’s Media Conference tickets at a discount for £380 + VAT. That’s a saving of £115 on the full rate. If you are not currently a CMF supporter or patron – sign up here for as little as £25. Then register for CMC by using this link which automatically applies your discount rate. You can also book a workshop, the CMC market day (International Exchange) and the famous Pizza Express dinner at the same time. Every member of the CMF Board and Executive Group will be attending CMC this year - and many of them will be getting together in the infamous Pizza express in Sheffield for the CMC Pizza night. It only costs £19+Vat - you could join them. Seek them out upstairs! CMF is producing the opening policy session - a Question Time covering all the main policy issues. Michael Rosen - The acclaimed poet, broadcaster, YouTube star, children’s advocate and former Children’s Laureate will give the opening Keynote on Tuesday 3 July at 6pm. Baroness Beeban Kidron - The Director of ‘Bridget Jones: The Edge of Reason’ and 'Oranges Are Not the Only Fruit’ gives the Creative Keynote on  Wednesday 4 July  at 6.30pm. Both are concerned about the power of the internet to change young people's lives - not always for the better. Out and Proud? Or Still Under Wraps?